When a pet is suspected of having cancer or receives a diagnosis of cancer, our oncology team is here to stage the cancer and treat the disease. When a pet is suspected of having cancer or receives a diagnosis of cancer, our veterinary oncology team is here to stage the cancer and treat the disease. VRC Oncology provides comprehensive care, which requires the most accurate diagnostic imaging modalities in order to apply the most effective medical, radiation, and surgical techniques. 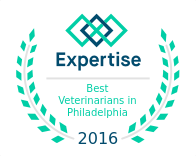 We take a multidisciplinary approach to treating pet cancer from every possible angle and may recommend a combination of treatments. We even offer holistic therapies to support healing and improve comfort. Our goal is to cure the disease or slow its progression to prolong survival while preserving your pet’s quality of life. The safety and well-being of each pet is always our top priority.